Brändön Lodge is an ideal setting for a half-term Arctic adventure. Stay in welcoming cabins overlooking the frozen archipelago, which has been transformed into a perfect winter playground. This exclusive holiday has been tailored to suit couples and families alike. Learn new wilderness skills and experience unique thrills on the frozen sea and surrounding area. This relaxed resort has just 15 cabins with a lodge housing a bar & restaurant. There is something for everyone in this action-packed small-group adventure week. Activities include snowmobiling, ice-fishing, cross-country skiing, ice-dining and husky safari. Jeris nestles alongside Lake Jerisjärvi on the edge of Pallas-Ylläs National Park and offers a choice of accommodation as well as a lake-side sauna, spa and for the really brave, a 25m illuminated outdoor ice-pool. Muotka Wilderness Lodge is the second project undertaken by Jouko and Mari who worked their magic so well at Nellim. Huddled amongst the pine, spruce and birch trees of the Taiga forest and close to Urho Kekkonen National Park, Muotka offers a tranquil escape from everyday life. Every window frame wild reindeer and snow laden trees, whereas the communal sitting, dining rooms and sauna are welcoming havens after your Lapland adventures under the Northern Lights. Lake Inari is infused with the mysticism of the Sami, and Nellim Wilderness Lodge lies at its very heart. It is here that Jouko and Mari have painstakingly converted a former school house into an authentically crafted hotel that reflects the local culture. This most tranquil of settings is home to a warm and magical atmosphere, where you will enjoy snowmobile and husky safaris, spend a day in the wild with a reindeer herder and practice the ancient Sami arts of snow shoeing and cross-country skiing. 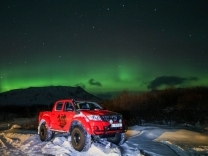 Enjoy a unique adrenaline weekend behind the wheel of an Arctic Truck. 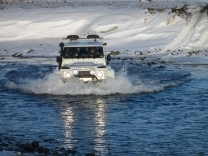 As you take command of these specially modified vehicles, you will be taught and accompanied by the team behind both Top Gear’s trip to Magnetic North Pole in 1997 and Prince Harry’s ‘Walking with the Wounded’ expedition to the South Pole. Choose from a selection of adventures. Join in this 5-day husky adventure, which introduces you to one on of the oldest forms of transport in the Arctic and cements that special bond that exists between a human and his dog. During this extra-ordinary undertaking, you’ll travel through the Lappish winter wilderness, overnighting in wilderness cabins, whilst mushing and tending your very own team of huskies. A more authentic Arctic activity is hard to find and impossible to beat. Longyearbyen in Svalbard is as far north as you can travel by commercial aeroplane, stop off here and prepare for a 3-day snowmobile adventure heading further into the surrounding Arctic wilderness and stay at the ‘world’s northernmost cabin’, the Nordenskiöld Lodge. During the day, you will follow in the footsteps of hunters and explorers of the past, as well as visit the abandoned Russian mining town of Pyramiden. Explore Iceland – a land constantly emerging and changing. Boasting a plethora of dramatic natural wonders such as geysirs, Gullfoss waterfall and Thingvellir National Park (where the tectonic plates meet), all of which are sights to behold whatever the season. If this was not dramatic enough, this tour invites you to continue the adventure in Ilulissat, on the west coast of Greenland. Join this small-group escorted tour travelling to the North, East and South of Iceland in pursuit of the Northern Lights. Explore Akureyri, Lake Mývatn and the East Fjords. Visit Vatnajökull glacier and Jökulsárlón ice lagoon and enjoy the Golden Circle classics. Delve into hot springs, walk through volcanic landscapes and observe Arctic wildlife. Each overnight stop has been hand-picked to maximise your chances of catching a glimpse of the awesome Aurora. Iceland is a thrilling geological theme park and this is a tailor-made VIP visit to see the natural wonders of this vast playground. Your base is a luxury 3-bedroomed villa with outdoor hot tub in a Northern Lights hot spot. On hand is a Super Jeep with private driver guide, who has a programme of bespoke tours that will fast-track you to Iceland’s most iconic attractions and experiences, giving the whole family bragging rights on this break. Kakslauttanen captured the world’s imagination, introducing a concept of a heated glass igloo, enabling guests to watch the Northern Lights from a bed in stylish comfort. Add a village of pine log houses, scattered amongst a snow-clad forest and you have a picture-perfect postcard of Finnish Lapland. Log fires and steaming saunas are on tap, as well as snowmobile, reindeer and husky safaris and, although we can’t guarantee the Northern Lights, we will maximise your chances of seeing this magical display. This small, locally escorted, group tour (maximise 16 people) enables you to visit destinations not often on bigger group tour agenda’s in the winter and maximises your chances of seeing the northern lights. Embark on this adventure with like-minded travellers and enjoy museum visits, culinary experiences, a stay in Iceland’s northernmost town, even a snow shoe hike in a lava labrynth and 5 evenings of lectures, presentations and guided searches for the northern lights. The raw nature of Iceland is truly revealed on this trip. 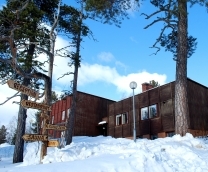 Jävri Lodge is the former winter residence of Finland’s longest serving Prime Minister, Urho Kekkonen, whose love of the region meant that he also had the honour of having the neighbouring national park named after him. The new owners of this luxury lodge now offer a fully hosted experience for those seeking a sanctuary in what has to be one of the most scenic regions of Finnish Lapland. Rovaniemi has long been considered the capital of Finnish Lapland and the official home of Santa Claus, as a result there is a wealth of activities and accommodation to suit every kind of visitor. Just outside of this urban oasis is an Arctic wilderness waiting to be explored and its proximity to the Arctic Circle makes it a Northern Lights hot spot.